With the majestic beauty of Queenstown and postcard views of Lake Wakatipu and The Remarkables, it's no surprise that many weddings and company events are held here. As a popular all year resort, there's plenty of hotels and event venues available. The larger chain hotels are popular places to hold larger conference events, while a number of dedicated event venues take advantage of the incredible setting, offering all the services needed to ensure a smooth running event. With so many award winning wines being produced in the region, a number of beautiful wineries have the capability to host weddings and events in a truly relaxed and welcoming setting. Wanaka, an hour's drive away has built up a reputation for weddings with a number of event venues offering personalised service in a breathtaking resort setting. 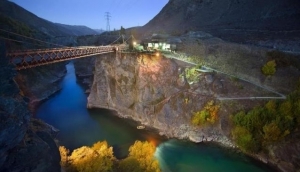 For a different type of Queenstown venue, there are plenty of the established activity operators that can offer something different for your event and showcase Queenstown's reputation for adventure.